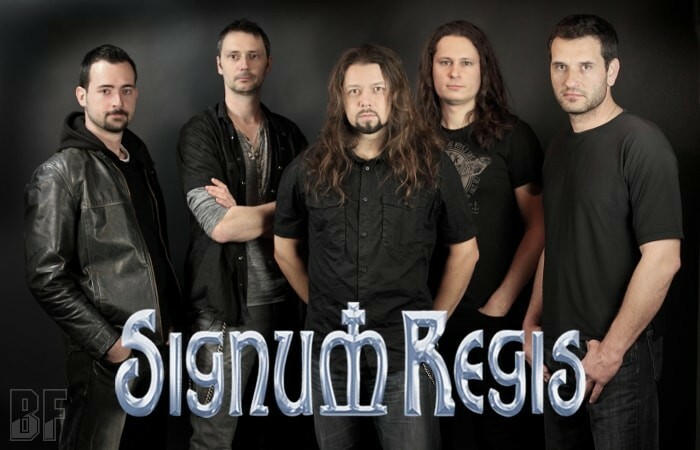 Slovak Melodic Metal band SIGNUM REGIS will release worldwide their fourth album “Chapter IV: The Reckoning” on November 20th through Ulterium Records, following the 6 track EP “Through The Storm” released in May 2015. The EP received excellent feedback from fans and media, with many of them calling it the best SIGNUM REGIS release so far. 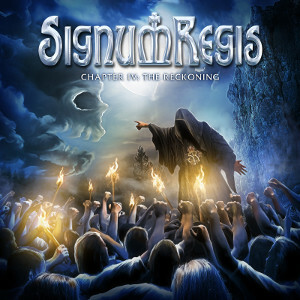 Both “Through The Storm” and “Chapter IV: The Reckoning” show that SIGNUM REGIS is a band that is constantly developing and improving everything from song-writing and musicianship to production and the visual part of the band. On this album, Maestro Mistheria and Roger Staffelbach are featured as special guests. The album was recorded and mixed by Ronnie König and SIGNUM REGIS, mastered by Jens Bogren (Symphony X, Opeth, Arch Enemy) and artwork by Jan Yrlund (Delain, Apocalyptica, Korpiklaani). Fans of Helloween, Impellitteri and Theocracy will sure like it.